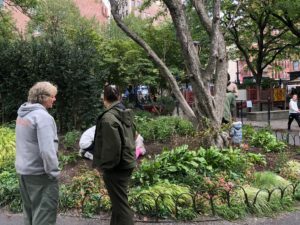 Our Park Gardener Richie will instruct children and adults on how to properly plant bulbs, flowers, and work the soil depending on what is needed within the park. 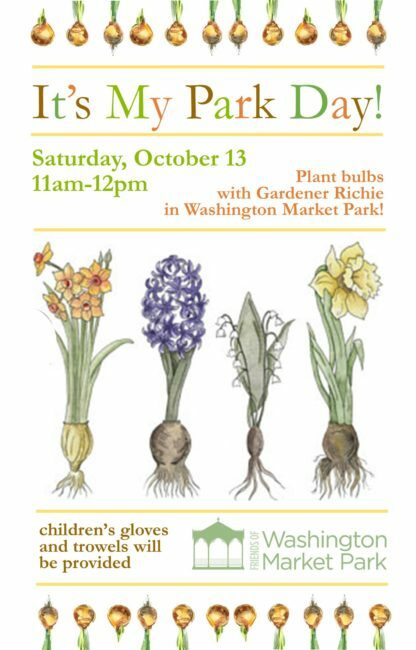 We will have children’s gardening gloves and trowels, but if you have your own please bring them along. 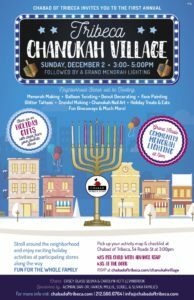 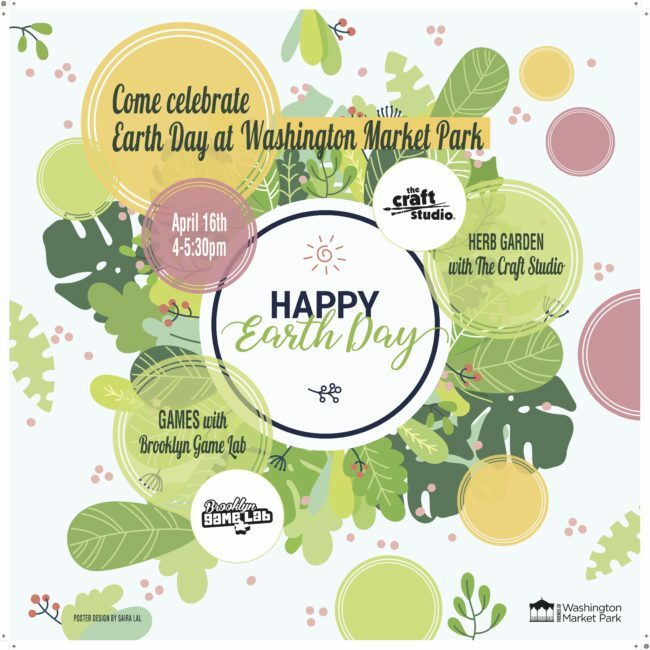 This event is sponsored by The Friends of Washington Market Park. Check out our pictures from this October’s event! 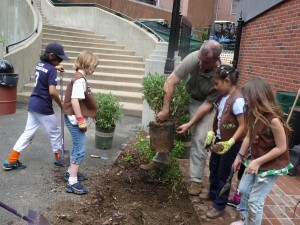 Work in the park’s gardens alongside other neighborhood families and our Gardener Richie! 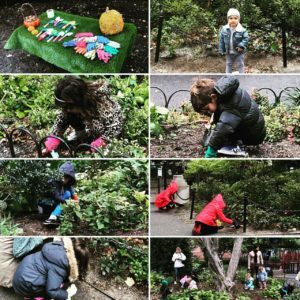 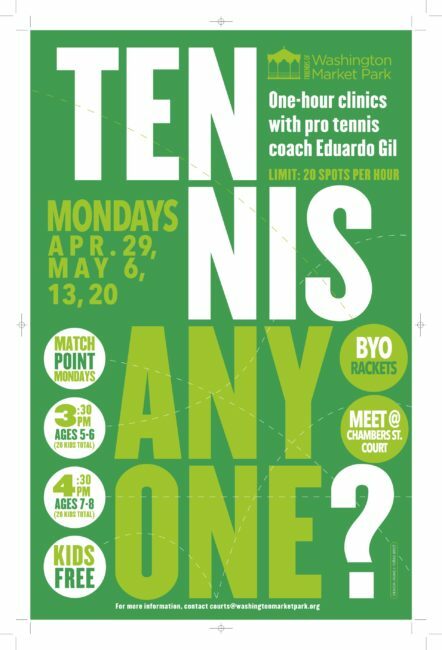 Check out our Spring 2018 It’s My Park Day! FLOFLOFLOWER POWER! 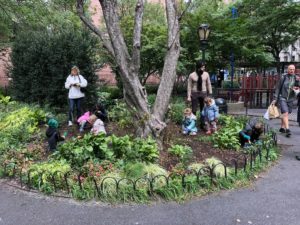 Hey children, do you like to garden? 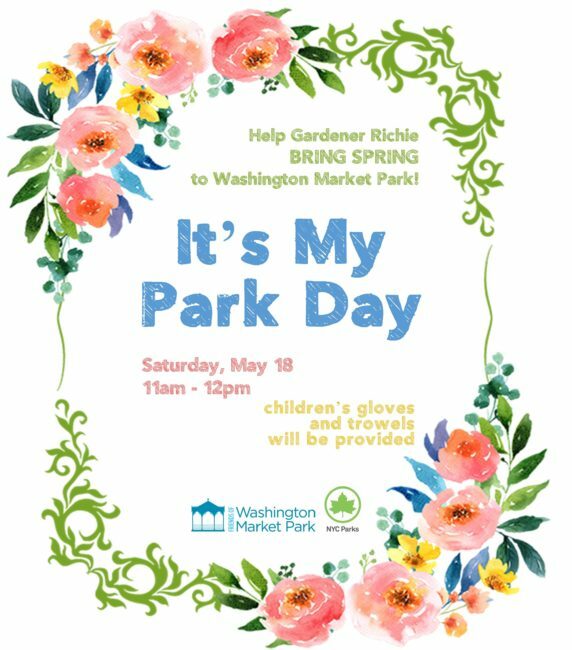 Then come to Washington Market Park for the citywide celebration of It’s My Park Day and work in the park gardens! 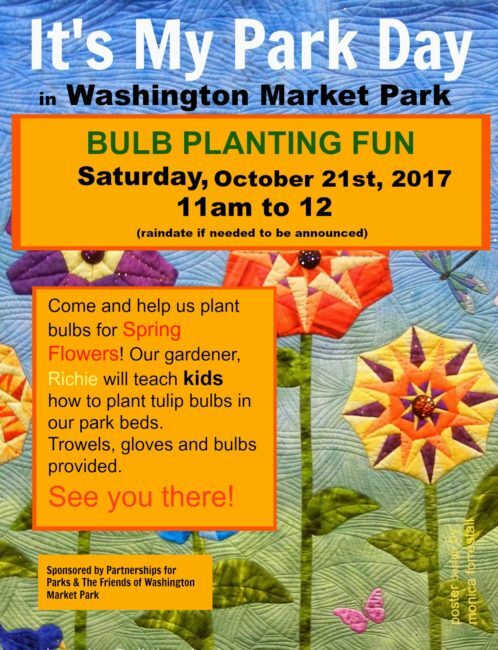 Our Park Gardener Richie will instruct children and adults on how to properly plant bulbs, flowers, and work the soil depending on what is needed within the park. 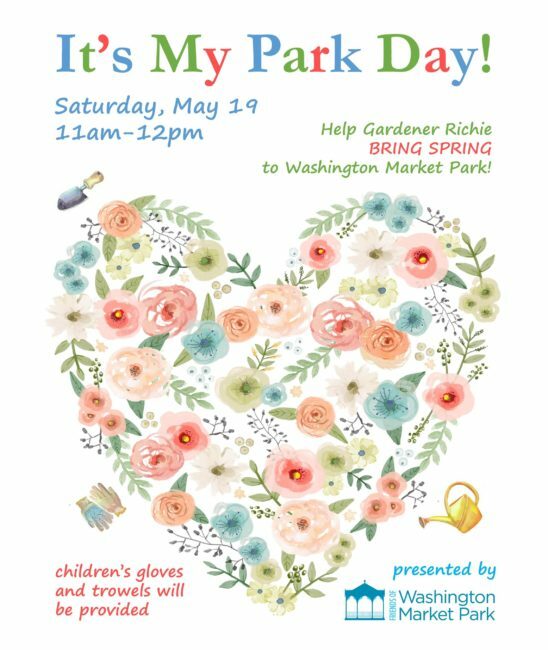 We will have children’s gardening gloves and trowels, but if you have your own please bring them along. 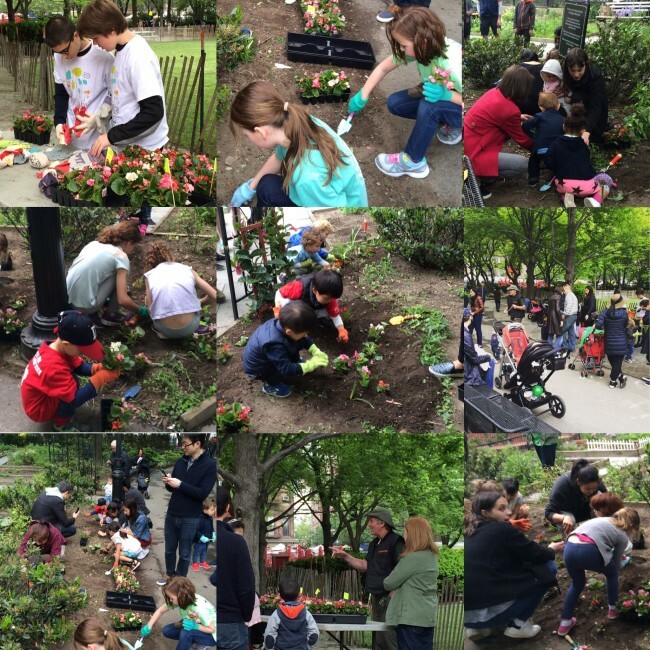 Our Spring 2016 It’s My Park Day! 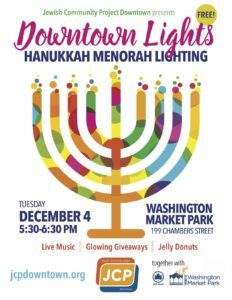 Volunteers: thank you for your help! 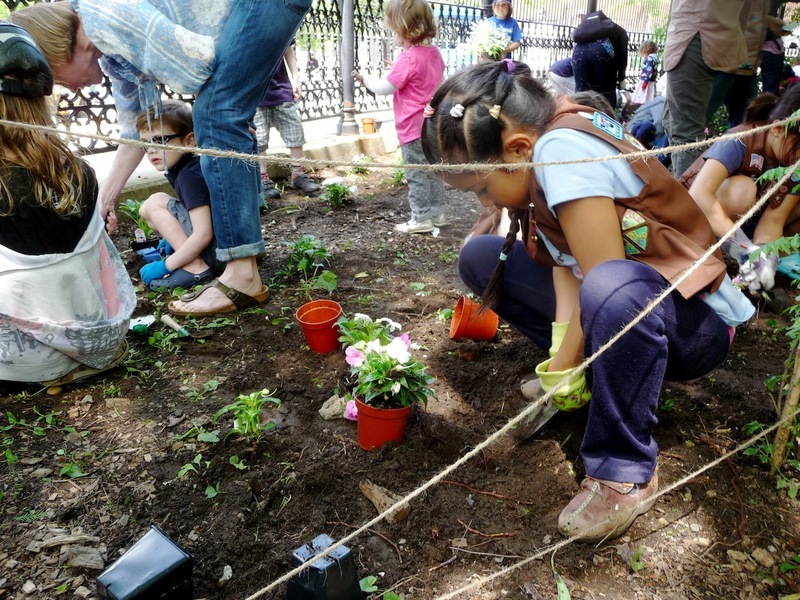 Our Autumn 2015 It’s My Park Day!